The FBI’s criminal complaint that shook the college basketball world Tuesday and led to 10 arrests included accounts of three meetings in Las Vegas. The charges of bribery, corruption and fraud centered on two sports management agents — Christian Dawkins and Munish Sood — who allegedly bribed assistant coaches to encourage their players to sign with their firm after leaving school and turning pro. A report released Tuesday by FBI special agent John Vourderis revealed that he used a cooperating witness, two undercover agents posing as financial backers and wiretaps in meetings and phone calls between the managers and coaches. 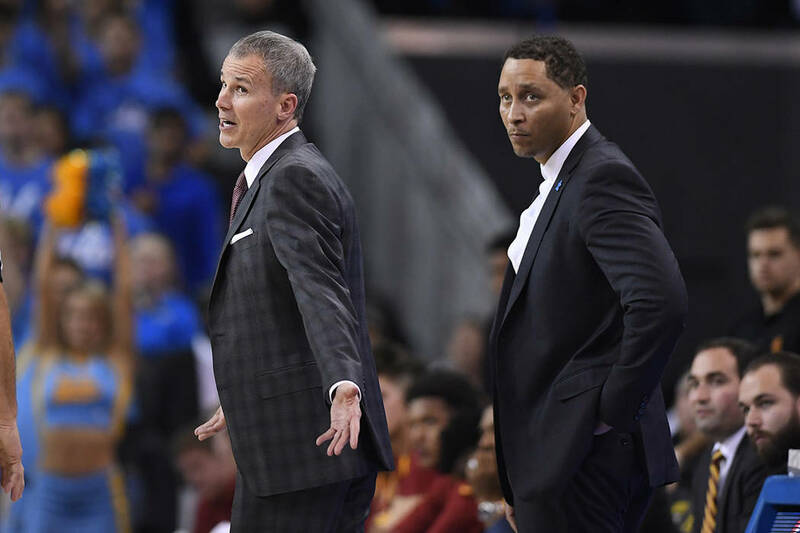 The Review-Journal on Wednesday reviewed the complaint and found three meetings in Las Vegas between March and July involving coaches from the University of Arizona, University of Louisville and University of Southern California. 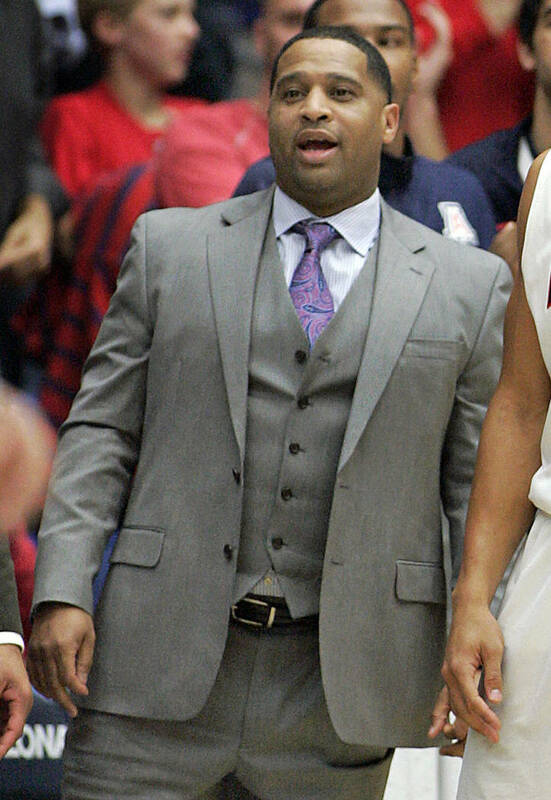 During the Pac-12 men’s tournament in March, Arizona assistant Emanuel “Book” Richardson met for dinner in an unnamed Las Vegas restaurant with Sood to begin their arrangement. Sood later told the FBI’s cooperating witness that Arizona basketball coaches were “interested in definitely working with us,” and eventually paid Richardson sums that totaled $20,000. Las Vegas becomes the center of the basketball world in July with the NBA Summer League and Amateur Athletic Union tournaments. It was during the AAU tournament that Louisville and USC coaches met with Dawkins and Sood, according to the report. 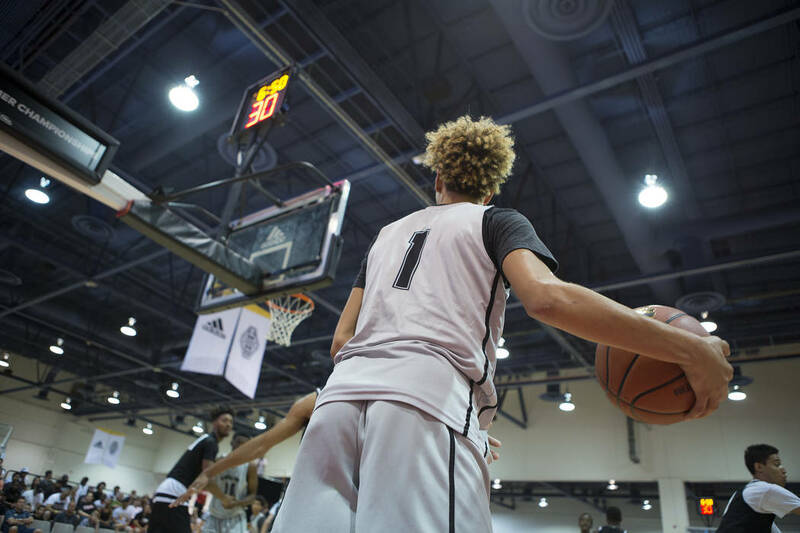 On July 27, Dawkins, Florida-based AAU coach Jonathan Brad Augustine and an unnamed assistant coach at Louisville met in a Las Vegas hotel room to discuss paying a college player to attend Louisville. The player, named in the report as “Player 11,” is a member of the Class of 2019 and currently a junior in high school. Dawkins, Augustine and the assistant decided to funnel money to the family of Player 11 in exchange for the player’s commitment to play basketball at Louisville, sign with Dawkins’ firm and be represented by Adidas, the apparel company that sponsors Louisville and Augustine’s AAU team. On July 29, Dawkins met with USC associate head coach Tony Bland in a Las Vegas hotel room, according to the report. Dawkins paid Bland $13,000 in cash in an attempt to get USC players to sign with his firm. Dawkins, Sood, Richardson, Augustine and Bland were arrested Tuesday on charges of wire fraud, bribery and conspiracy. The unnamed Louisville coach was not arrested.